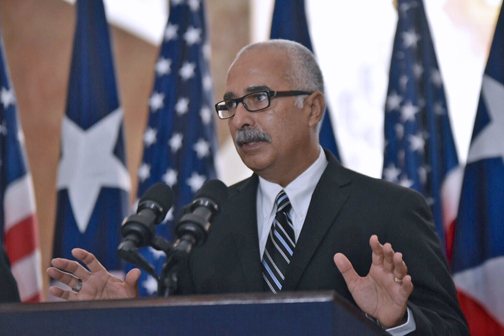 Treasury Secretary Raúl Maldonado-Gautier said this is the highest figure for the month of March since 2013. In addition, these revenues exceeded monthly projections by $66.2 million. Main revenue drivers include income taxes from corporations, which totaled $130.4 million, for an increase of $58.1 million compared with March 2016. March 2017 revenues from corporations are the highest for the month of March since 2006, and were $60.6 million above projections. Another category that contributed to the positive revenue performance in March was the Act 154 foreign excise tax, which reflected the highest collections with $201.5 million, for an increase of $24.4 million compared to March 2016, the agency said. As for excise taxes, the motor vehicles category continued reflecting growth. Revenues have increased in the last four consecutive months and in eight of the nine months of the present fiscal year. In March, total revenues in this category were $41.3 million, a $9.8 million increase compared to March 2016. In March, Sales and Use Tax collections totaled $197.8 million, or $1.5 million less than last year. This is the first time a slight reduction in SUT revenues occurs in the nine months of this fiscal year. In the nine months of this fiscal year, total SUT collections were $1.9 billion, approximately $166 million more compared with the same period of the previous fiscal year. Lastly, the Treasury Secretary pointed out that fiscal 2017 year-to-date net revenues to the General Fund totaled $6,402.3 million, an increase of $154 million, or 2.5 percent, compared with the same period of the previous fiscal year, and $250.2 million, or 4.1 percent, above projections. Hey Buddy!, I found this information for you: "Treasury collects 4.4M in March, .7M more YOY". Here is the website link: https://newsismybusiness.com/treasury-collects-march/. Thank you.